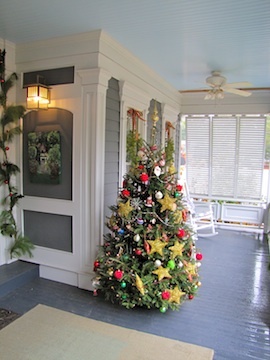 A beautifully decorated Christmas tree welcomed visitors to my in-laws' house on the Southport Christmas Homes Tour. I’m fortunate enough to live near and have a great relationship with my in-laws. They live in Southport, NC, only 30-odd miles south of Wilmingtong, and I worked for a few years with my father-in-law, Bob Dzubak. Bob taught me to build cabinets and some key design principles and introduced me to the world of woodworking. 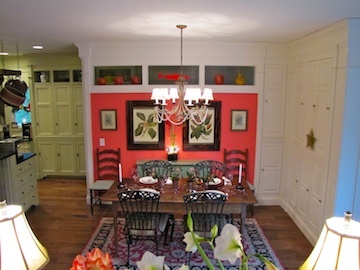 My mother-in-law, Kathy, or KD, has a great eye for design. A few years ago, Bob and KD were looking to move out of a gated community and into the town of Southport, so Bob and I built a house. 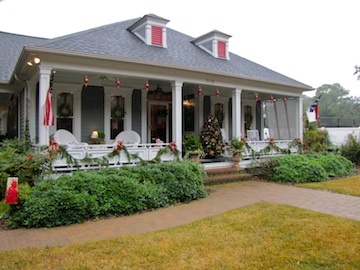 Well, we didn’t exactly build it, he hired framers and painters and all that, but we refined the layout and look of the house, designed, built and installed the cabinetry and built a beautiful home. 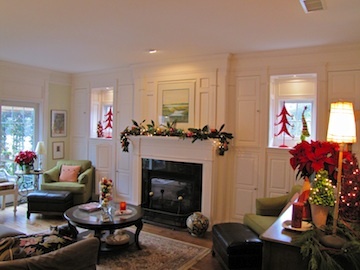 This year KD decided to decorate in her usual way but put their home on the Christmas Homes Tour. 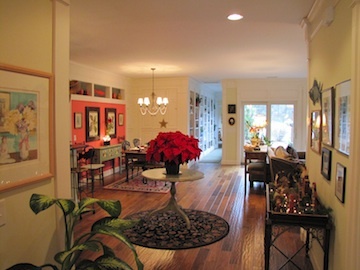 Here are a few pictures showing off the house and the cabinetry. Enjoy, and Merry Chistmas. 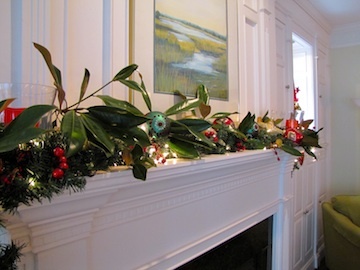 It was a rainy day, but the house's holiday spirit couldn't be dampened. 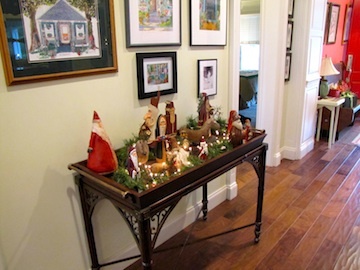 A table-filling poinsettia greeted visitors on the Christmas Homes Tour. There was a giant Santa in the TV room. 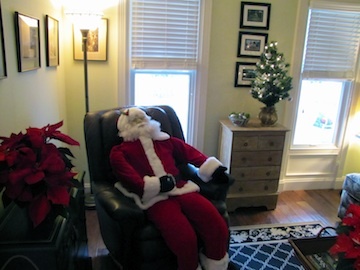 He freaked me out a little (sorry, Santa). A table full of Santas. I hope they bring me lots of presents. KD festooned the breakfast bar with live greens and fruit. The pomegranates were my favorite. 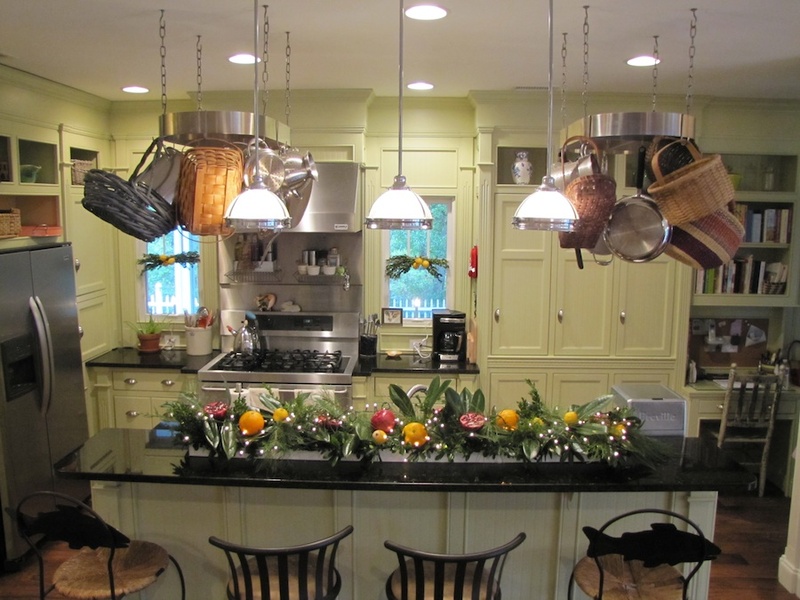 No detail was spared, even the shelves above the butcher-block cutting board were decorated. 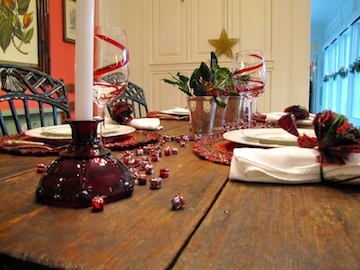 The dining room table was carefully decorated. KD sait it took forever to wrap all of the little presents on the table. 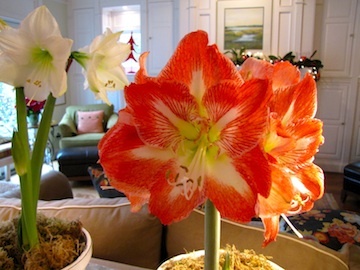 Two amaryllis (amaryllises, amarallisi?) that KD grew for the occasion. 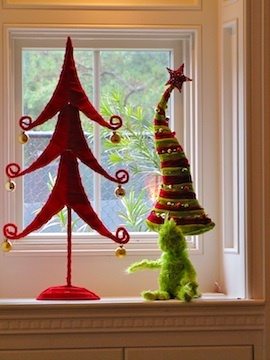 The living room was filled with live greenery, flowers and even the Grinch. Like I said, the Grinch. 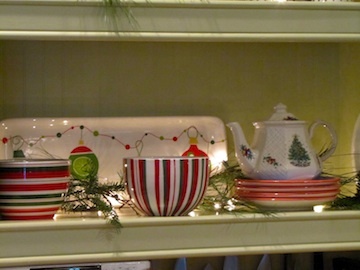 KD's treatment of the mantle shelf was beautiful. 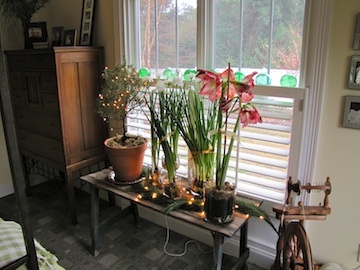 Down the hall is the master suite, where KD was showing off her green thumb with this table of plants. 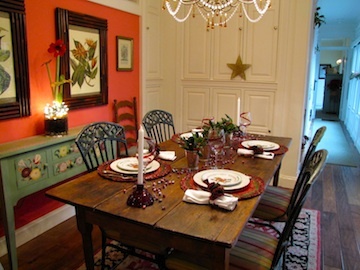 The kitchen table looked so great, I thought you'd like to see it again.